Mr. John E. Hartfield, age 70, of Poplarville went home to be with his Lord and Savior on January 17, 2019 in Jackson after a brief illness. He was preceded in death by his parents, Buddy and Mary Jane (Cayten) Hartfield. He was a member of Serenity Baptist Church and worked in the oilfield industry. 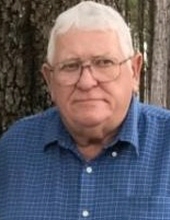 He is survived by his wife Margie Boone Hartfield of Poplarville; two daughters, Angela (Kevin) Dedeaux and Crissy Hartfield both of Poplarville; one son, Glenn (Alena) Bolin of Poplarville; six grandchildren, Mason Dedeaux, Miles Dedeaux, Matthew Dedeaux, Payton Hartfield, Audrey Bolin and Sarah Bolin; one brother, Richard (Peggy) Hartfield of Brooklyn and two sisters, Linda (Fred) Johnston of Poplarville and Carol Poole of Poplarville. Services will be 11:00 a.m., Monday, January 21, 2019 at Serenity Baptist Church with burial to follow in the church cemetery. Visitation will be from 5:30-9:00 p.m., Sunday, January 20, 2019 and from 10-11:00 a.m. Monday, January 21, 2019 both visitations will be at Serenity Baptist Church 1079 Old Camp Road Poplarville, MS 39470. Moore Funeral Services in Wiggins is in charge of the arrangements. To send flowers or a remembrance gift to the family of John E. Hartfield, please visit our Tribute Store. "Email Address" would like to share the life celebration of John E. Hartfield. Click on the "link" to go to share a favorite memory or leave a condolence message for the family.